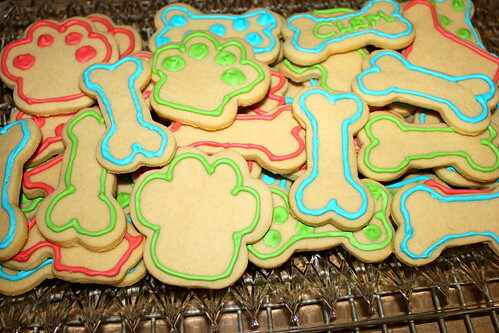 Along with with the puppy cake pops, I also made some puppy themed delicious sugar cookies for Clem’s 5th birthday party. I had never made royal icing before and wanted to give it a go. Being that Clem’s party colors were blue, green and red, I made these three icings. The red was a bit more pink than I hoped, but still cute! I found my recipe for both the cookies and the icing at A Cake Story here. The cookies were sooo tasty with yummy almond extract. 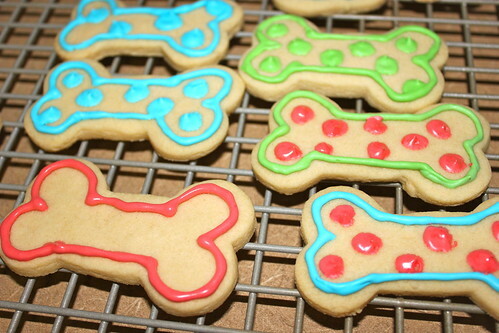 Here is the cookie recipe (read further for the royal icing recipe with lemon extract). 1. Preheat oven to 350. 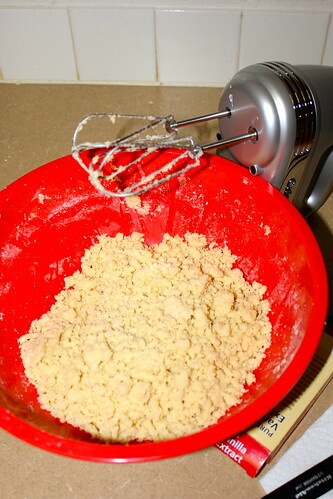 Combine the flour and baking powder, set aside. 2. 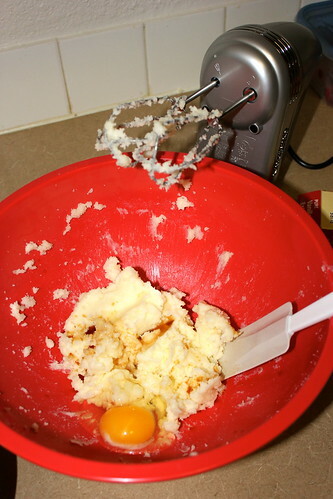 Cream the sugar and butter and then add the egg and extracts. 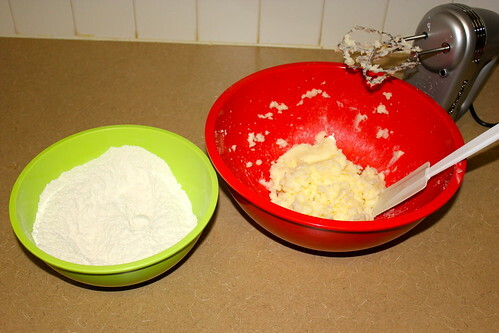 Gradually add the flour mixture and beat just until combined, scraping the sides and bottom of the bowl as you mix. 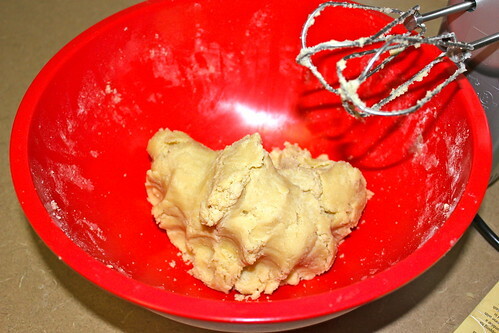 But come together when kneaded and rolled out, like this. 4. 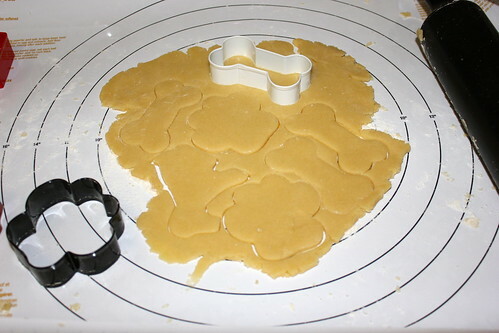 Roll on a floured surface and cut into shapes. 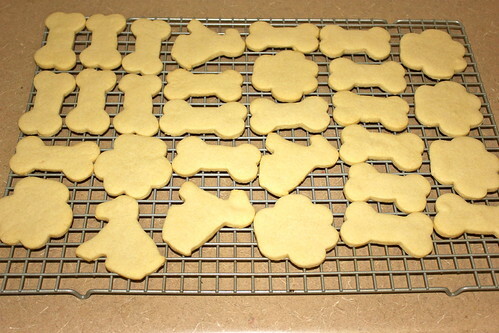 Place on parchment lined baking sheets and freeze for about 5 minutes before finally baking 10-12 minutes. 5. Allow to set for a few minutes out of the oven before transferring to a cooling rack. Now on to the icing! 1. 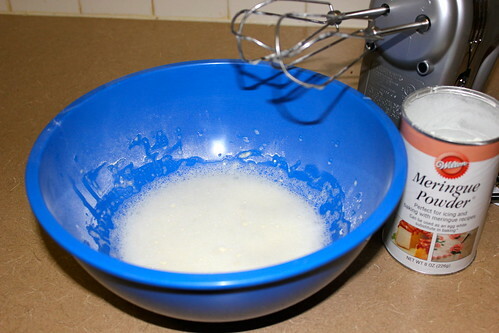 Using a hand mixer, mix the meringue powder and water on low until foamy in your bowl. 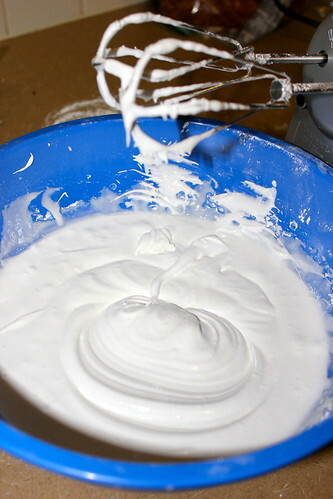 If you are trying to find meringue powder, try a local baking store or craft store. I found mine at Joann’s. 2. Sift in the powdered sugar and continue to mix until combined. Add in the corn syrup and extract and increase speed to med-high/high and beat for about 5 minutes so that glossy stiff peaks form as seen below. 3. This frosting consistency is for lettering and decorating. 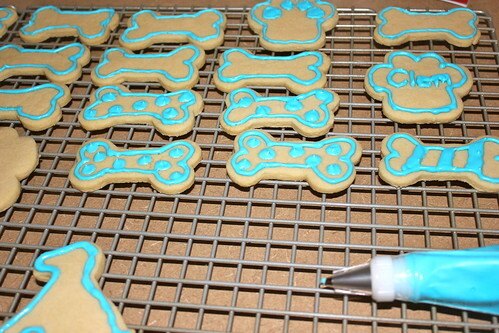 Take small batches of the frosting and use gel paste food colorings to get desired colors.